A 13-MEMBER advisory panel has been set up by the Ministry of Manpower (MOM) to study possible improvements to the Central Provident Fund (CPF). Led by National University of Singapore president Tan Chorh Chuan, it was first mentioned at Prime Minister Lee Hsien Loong's National Day Rally last month. It includes members from academia, the financial sector and community organisations, to present a broad spectrum of views, the MOM said yesterday. "The Government has been studying further enhancements to some key aspects of the CPF system to make it more flexible to meet the needs of more Singaporeans and provide additional options in retirement," it said. The panel will study four main areas. One is how the Minimum Sum should be adjusted beyond next year so members can receive monthly retirement payouts for life. The Minimum Sum is now $155,000 but will rise to $161,000 for those turning 55 next July. After that, there will be no more major increases in the required amount, said PM Lee, although the sum will have to be raised from time to time. A second area is how to enable bigger lump-sum withdrawals upon retirement. The circumstances for doing so will also be looked at while taking into account whether different groups would have enough to tide over retirement. The panel will also study how to give an option to those who want lower payouts first and then have the payouts rise with time given cost increases. It will also consider how to provide more flexibility for those who want higher returns through private investment plans while balancing the higher investment risks involved, as well as for those who want to invest in private annuities as an alternative to the CPF Life annuity plan. The panel's scope was applauded by Singapore Management University economist Hoon Hian Teck. "I thought they are quite bold to address the key issues that have cropped up in the last several months," he said, citing demands such as higher returns. Retirement adequacy has been the focus in recent months, with the CPF scheme coming under much debate, and the new MediShield Life being introduced. 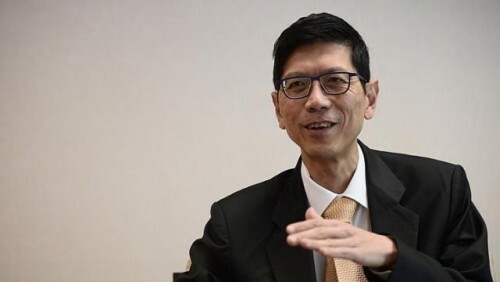 One of the panellists, Mr Christopher Tan, chief executive officer of financial advisory firm Providend, is keen to use his area of expertise when the panel convenes for the first time later this month. "The CPF is the cornerstone of retirement planning in Singapore - it's a government scheme you have to learn to make use of." He would like to discuss how the CPF Board or Government could provide counselling services for private pension plans to the layman. Fellow panellist Tan Bee Wan, executive chairman of consulting firm Integrative Learning Corporation, said that while the panel will deal primarily with financial aspects, retirement is more than that. "It's not about the quantitative value, but ageing with peace of mind. Money is a small part of the equation. The rest is how you are going to spend your money, who you are going to spend it with, and what is of value to you." The panel can inform people only about their choices, not make them, she added. Bishan-Toa Payoh GRC MP Zainudin Nordin, chairman of the Government Parliamentary Committee for Manpower, said it has its work cut out as there are demands to be balanced. "I am confident they will come up with as many good ideas as possible."